It’s almost time for another long journey across the frozen wastes with your clansmen, so Stoic have released a new trailer to get you ready. I suggest you wrap up warm and stash something sharp nearby. Will the story-based sequel end up in our list of PC’s best strategy games? Get ready for the choices you made in Banner Saga to bite you in the arse, as your terrible decisions will carry across to this strategy sequel when it launches on April 19. 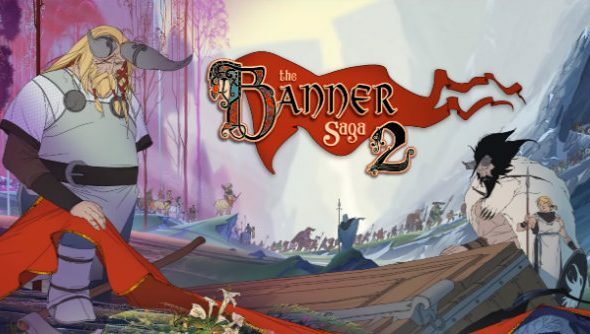 As you can see, Banner Saga 2 retains the first game’s hand-drawn, Disney-style art, which is wonderfully complimented by a rousing score from Grammy-nominated composer Austin Wintory. It’s not all like the first game, though. Banner Saga 2 will introduce new characters and a new race, the Horseborn. It’ll also feature enhanced combat with dire consequences for loss, characters being gone forever once falling in battle, XCOM Ironman style. It sounds brutal, but also brilliant, and I can’t wait to get most of my caravan killed once again.